Pre-Construction. To be built. Pre-construction. To be built. This Modern Farmhouse custom home by Bayfair Custom Homes offers the best of lakefront living with an open plan design, as well as incredible outdoor living space. Featuring a blend of traditional and modern design details, this home will capture an understated elegance with exceptional finishes and quality. The rear of the home is filled with windows, maximizing lake views and providing exceptional natural light throughout the home. Master Suite Downstairs, with Spa-Like Bath. Outdoor Living with Pool, Grill Area and More. Fronting Lake Politz with 8 +/- Acres of Serene Lake Views and Non-Motorized Watercraft Access. Luxurious Finishes, Including Hardwood Flooring, Granite Counters, Enhanced Interior Trim Details and Gourmet Kitchen. 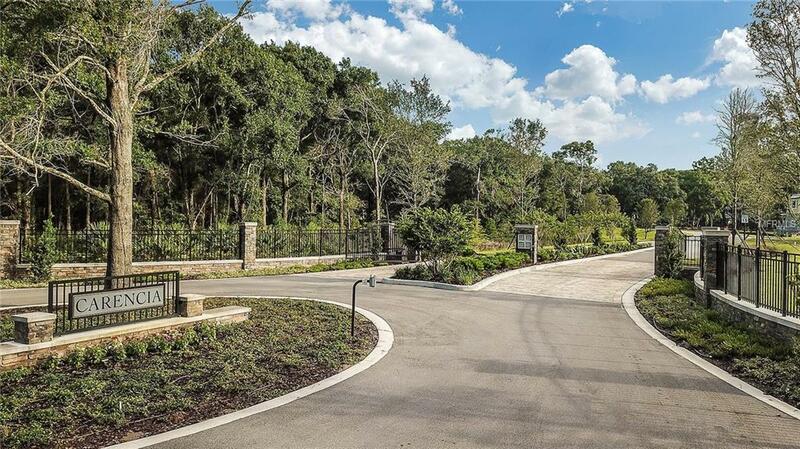 Carencia is a new gated community of just 18 residences in the heart of Odessa, with homes situated on a minimum of one-acre. Price includes pool/spa/screened enclosure. This home is currently in the final design stages and will begin permitting soon - buyer still has an opportunity to personalize before construction begins. Additional Water Information Beautiful Private (Carencia Hoa-Owned) 8 +/- Acre Lake With Availability To Have A Dock Added. Perfect For Kayaking Canoeing Fishing - Or Simply Enjoying The Stunning Water Vistas From Your Rear Porch Or Pool. Listing provided courtesy of Harbour Island Realty, Llc.